Everything (apart from pork dish (obviously) is halal), including the Guineafowl and Venison. 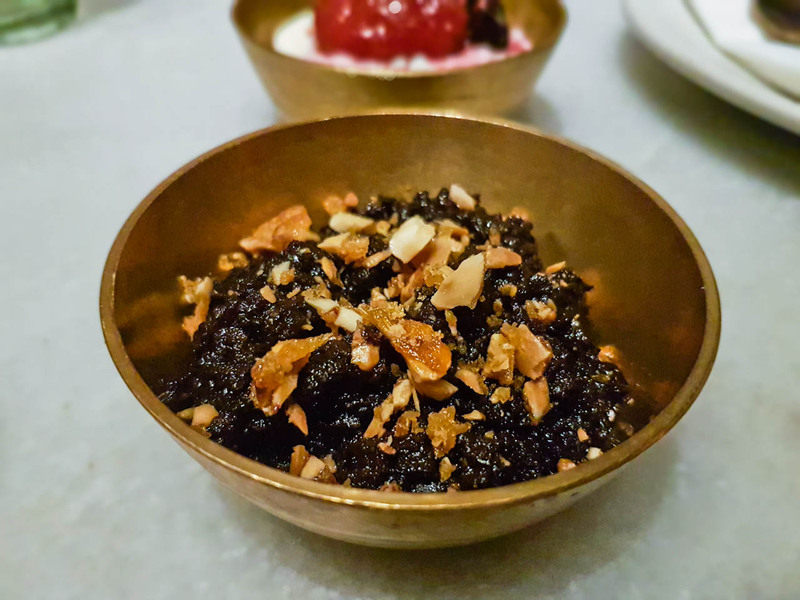 Having nearly been opened for around a year or so, ‘Talli Joe’ is yet another addition to Indian restaurants to grace the halal food scene. 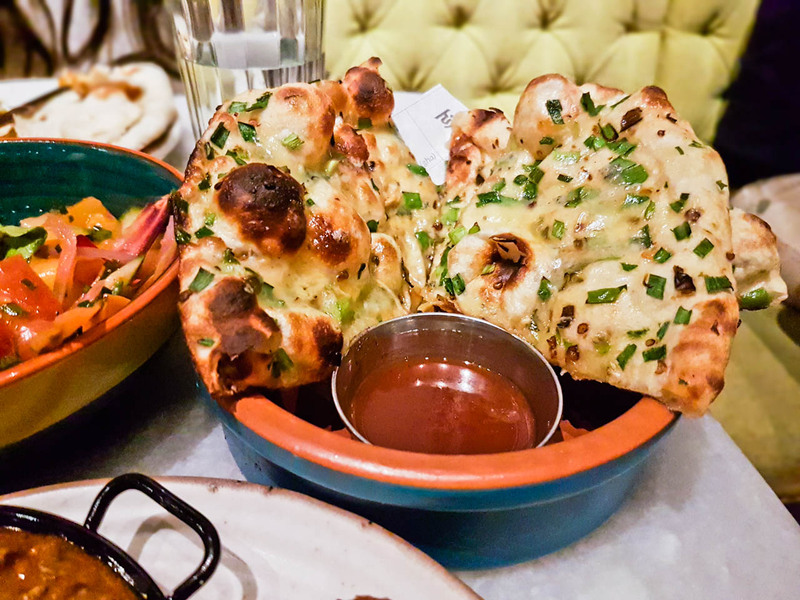 There’s been a recent rise of a new wave of Indian restaurants that now offer up small plates of tapas style Indian food. 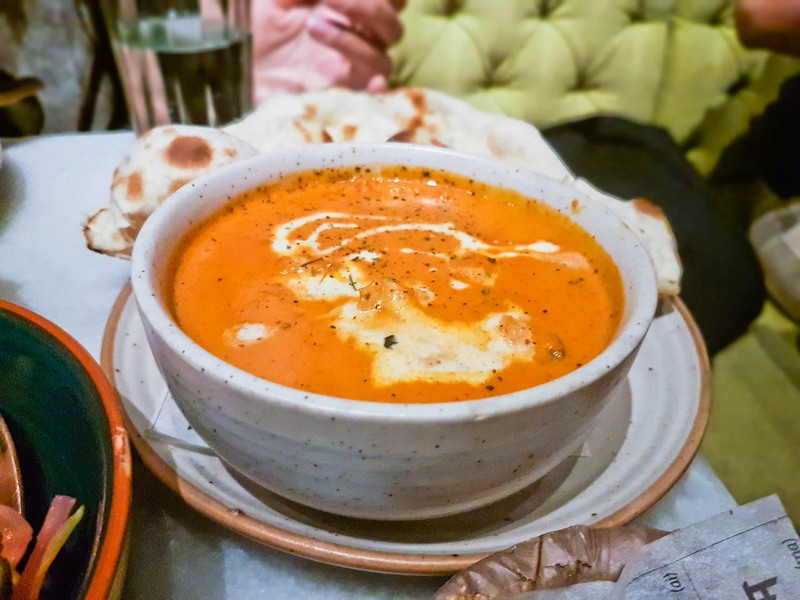 Gone are the days of Currys; Where you go to an Indian restaurant – you order a starter, then a curry with rice or naan. The problem with restaurants like that is that it’s a bit limited and you don’t really get to try the menu. 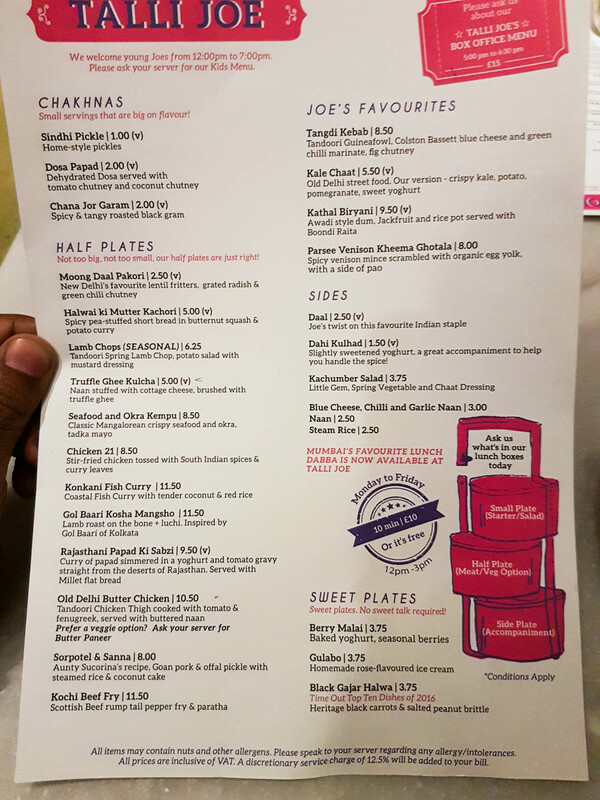 I much prefer this new style of Indian restaurants that offer up small plates, where you can try and sample a wider range of the menu. 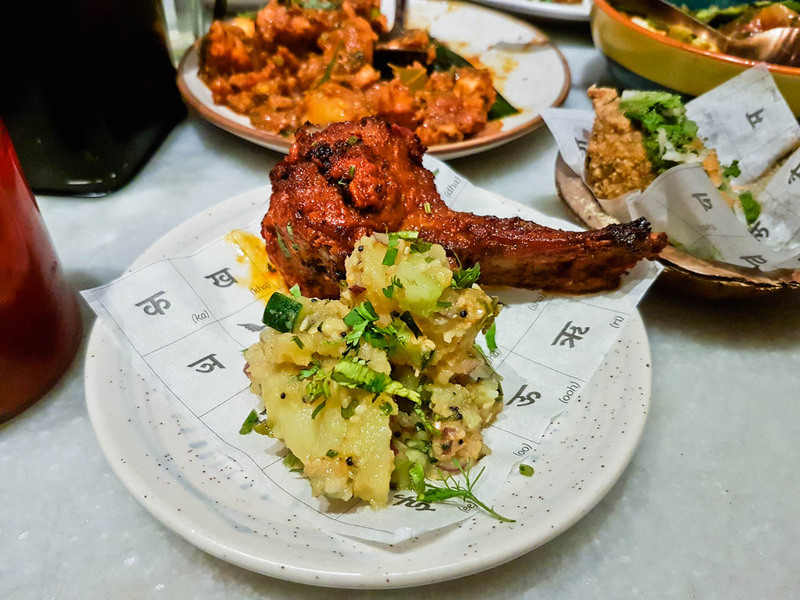 Talli Joe is on Shaftesbury Avenue – which is usually known for being full of ‘The Tourist Trap’ type restaurants, you know the kind of restaurants where the quality and food isn’t great because you know that the customer is only going to eat there once. 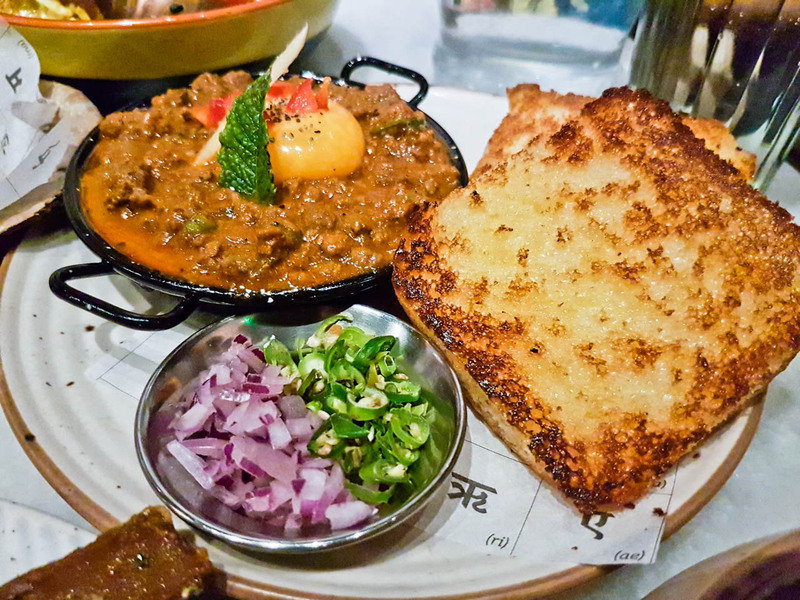 Luckily the food at Talli Joe is pretty good and I’d easily go back there again. It’s actually pretty close to one of my favourite Indian restaurants that do a similar style food like Hankies Cafe. However, a big difference with Talli Joe is that it’s a lot bigger and has a much bigger menu as well. The restaurant is spacious, I visited on a Thursday night and it was pretty loud and had a lot of people there. Once we were seated, the waitress explained to us that we should be ordering around two to three different types of plates. Looking at the menu, there were a lot of choices so here’s what I got, and here’s what I thought of every plate full. Lentil fritters, grated mooli & green chilli chutney. crispy kale, potato, pomegranate, sweet yoghurt. The food kept coming, the moment I started on one dish another arrived, which made taking pictures tricky! 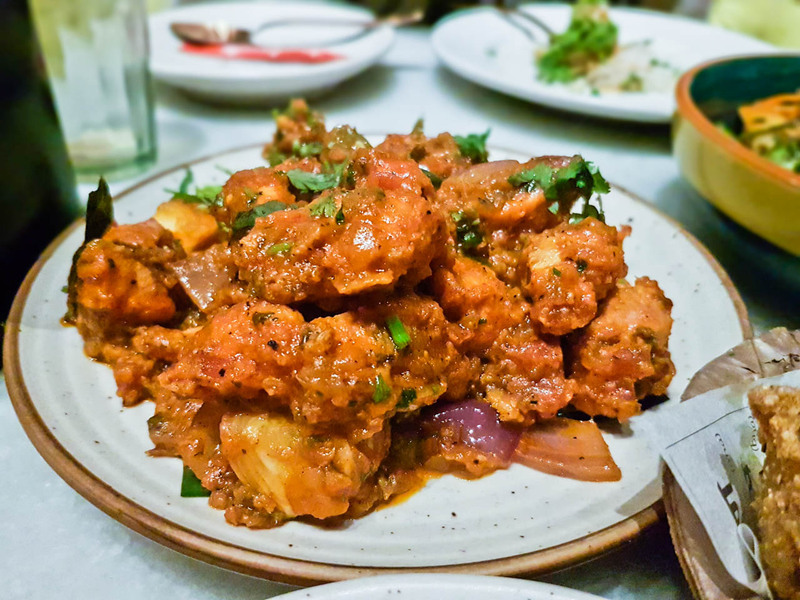 Stir-fried chicken tossed with South Indian spices & curry leaves. At this point, we were greeted by the head chef, who was going around most tables from the look of it, he was very interested in getting feedback and really wanted to make sure the food was as good as it could be. He asked me what I ordered and insisted I try a dish he recommended – so he said he’d go and bring one out. He also decided to take away the butter chicken, which was only sitting there for no more than a few minutes, but he wanted to make a new one fresh. Who am I to say it wasn’t a problem. Tandoori chicken thigh cooked with tomato and fenugreek served with buttered naan. Spicy venison mince served with organic egg yolk, with a side of pao. 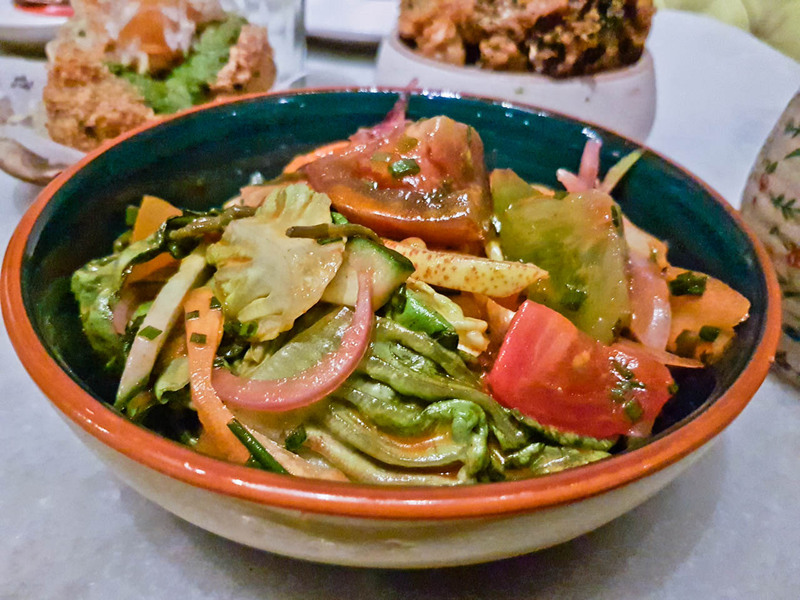 Little gem, spring vegetable and chaat dressing. Heritage black carrots, salted peanut brittle. On the menu, there’s a little note saying that this dish is voted as Timeout’s ‘best dish of 2016’. 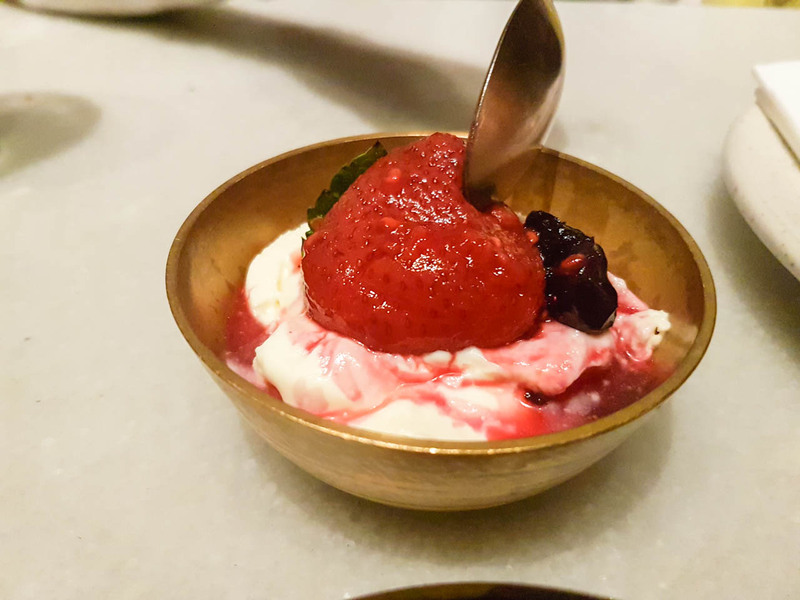 I would agree that it’s a very sweet dish and a nice way to end a meal, but it was too sweet and really needs to be served with ice cream to balance out the sweetness, you know, like a standard wedding dessert. Considering the location, the prices were reasonable, apart from the price of the lamb chops. Service was fine, standard you would expect. The head chef visiting us was a nice touch. Hey Buddy!, I found this information for you: "Talli Joe". Here is the website link: http://halalfoodguy.co.uk/talli-joe/. Thank you.